Grapes, raisins and sultanas are poisonous to dogs. However, some dog parents are unaware of this fact until it is too late. A mere handful of grapes, raisins or sultanas can cause a lot of damage to some dogs. In large quantities, raisins or grapes can cause acute kidney failure and even death to dogs. Any brand of raisins and sultanas and all kinds of grapes (seeded, seedless, those from a grocery store, or those from your backyard vine) can cause poisoning. Why Are Raisin and Grape Poisonous to Dogs? The exact reason as to why raisins or grapes cause acute kidney failure in dogs is still not clear. The ASPCA Animal Poison Control Center have conducted tests on suspected grapes and raisins for pesticides, heavy metals, and fungal contaminants. However, the results so far have all been negative. 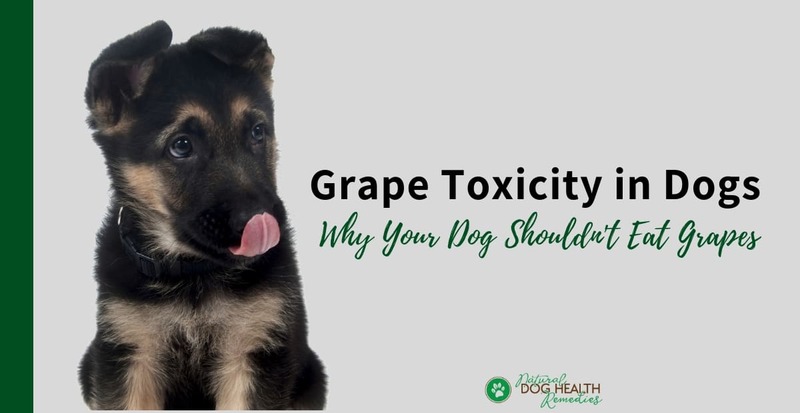 Without a clear understanding as to how raisins and grapes cause toxicity in dogs, and since even small amount can cause serious or even fatal health consequences, all cases of ingestion should be considered potentially dangerous. If not being treated immediately, the dog may develop acute kidney failure within the first 72 hours. When the kidneys fail, the body is unable to filter the blood and excrete waste in the urine. The dog will produce very little urine. Once the dog stops urinating, death occurs. Sometimes, even with treatment, too much damage has already been done and the dog has to be euthanized. The prognosis of an advanced acute kidney failure is always poor regardless of the cause. Therefore, to prevent grape toxicity in dogs, keep all grapes, raisins and sultanas out of the reach of your dog. If you notice that your dog has just eaten some grapes, sultanas, or raisins, induce vomiting and administer activated charcoal immediately to prevent absorption of potential toxins. After that, take your dog to the vet for tests and further treatment will be given to your dog if necessary. If you succeeded in inducing vomiting, give your dog granular activated charcoal after he has vomited to absorb any remaining toxins inside the body. The digestion of grapes and raisins appears to be slow as there have been cases in which whole grapes and raisins have been recovered from the stomach overnight. Therefore, even a few hours following the ingestion grapes or raisins, it may prove well worthwhile to induce vomiting. If however your dog is already weak and showing signs of advanced stage of poisoning, rush him to the vet immediately. For dog parents in the USA, call the ASPCA Animal Poison Control Center hotline (888-426-4435) for help. 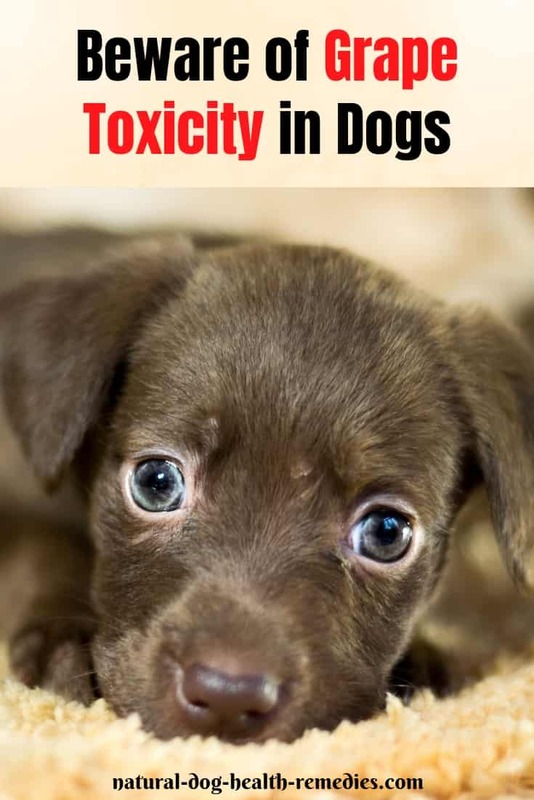 Did you know chocolate is also toxic to dogs?